The Shatabhisha Nakshatra resides fully in Aquarius. It’s essence is embodied by it’s name which means possessing one hundred healers. The region is also referred to as Shatataraka, which translates to possessing one hundred stars. This meaning is suggested by the hundreds of stars associated with this Nakshatra. These stars form a circle and it is told that each star represents a certain type of healing or medicine. The significance of the constellation’s formation is echoed in the Shatabhisha’s symbol, the circle. This may be interpreted as the circle of life, creation and destruction, the zodiac, or the void of creation. According to Vedic astrology, this region of the cosmos is ruled by Shiva who also presides over Aquarius, thus the Nakshatra is also concerned with metaphysics, meditation and healing. 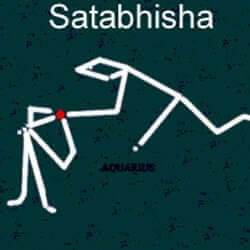 The Satabhisha birth star people are intelligent, strong people who are consistent in their self-understanding. Their sense of certainty may be seen as inflexible and/or cynical. They sometimes have difficulty managing their ego and may consequently appear self-centered. The Shatabhisha has an aristocratic presence which is engaging to others. They are attractive people with gentle appearances characterized by soft bodies, dignified noses and bright eyes. Typically well-educated, the Shatabhishak is known to find professional success before their 40th year. 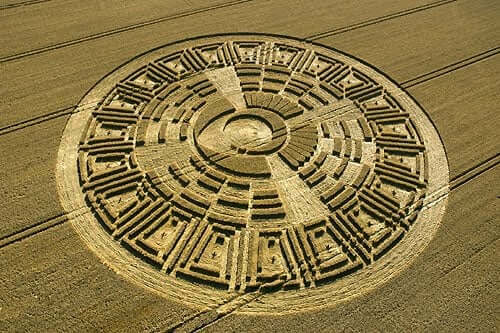 They are found working in the fields of medicine, astrology, psychology and natural healing. There is generally a rift between the native and their father. Their mother makes up for the father’s indifference and takes a significant role throughout the native’s life. They may, in fact care for her when she is aged. Many of these unique creatures never marry. The people of Shatabhisha Nakshatra will have many health issues which will include urinary tract issues, respiratory problems, diabetes and poor immunity.